Heat retention helps improve circulation and promote healing. Size Selection: For left or right hand, this support is adjustable to fit most wrists. 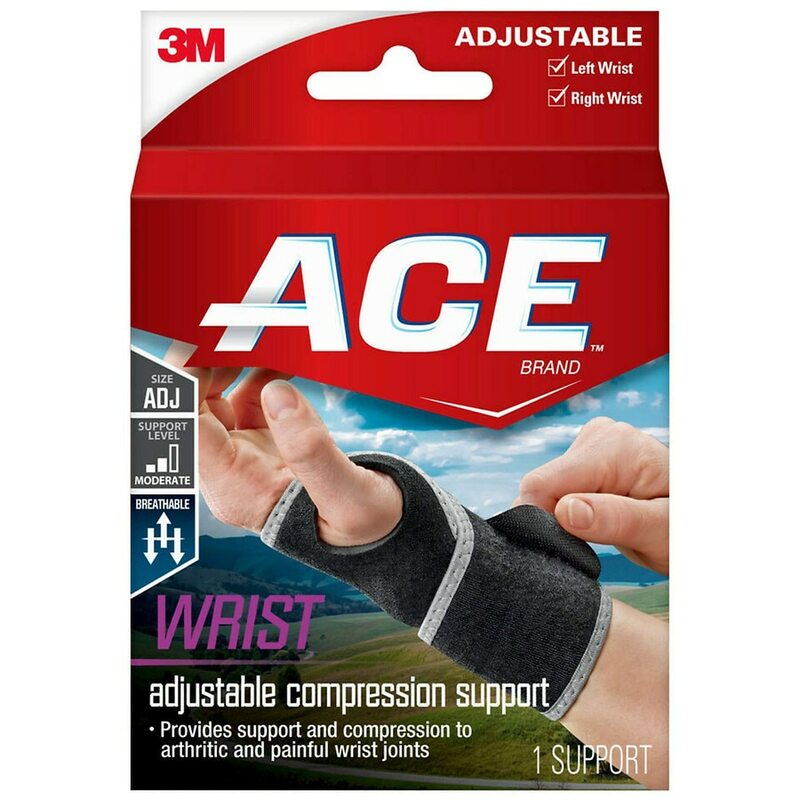 The ACE™ Brand Wrist Support can be used for such injuries as muscle strain, general wrist pain and swelling. Mild Support: Provides light support and therapeutic heat retention help relieve symptoms associated with minor sprains, strains and arthritis. Place thumb through the hole at the top of product. 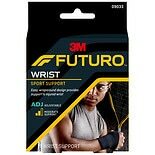 Let strap hang down over the back of your hand. Adjust support until it fits firmly, yet comfortably. Care instructions: Hand wash in warm water with a mild detergent. Air dry. Some individuals may be sensitive to neoprene or neoprene-blend rubber. If a rash develops, discontinue use and consult a physician. If discomfort or pain results, persists or increases, discontinue use and consult a physician.